Cost: $19-$60. Tickets available through the box office, by calling (509) 624-1200, at www.ticketswest.com and at all TicketsWest outlets. During their time in Spokane, each Spokane Symphony music director finalist gets to experience a week with the orchestra. There are symphony and chorale members to meet plus meetings with symphony staff, board members and the community on top of rehearsals throughout the week. But this is technically Arnold’s second week with the symphony. When he learned he was a finalist, he was so excited he asked if he could visit the symphony during a week off in April. After getting the OK, Arnold drove from his home in Powell River, British Columbia, to Spokane. He recalls encountering friendly, welcoming people around town and on the symphony staff and enjoyed getting to watch the symphony rehearse and perform a concert. “Music is like oxygen for the soul, and Spokane has this incredible ensemble,” Arnold said. That week also assured him that the folks behind the Spokane Symphony have nailed down the art of both running an orchestra and answering and anticipating the needs of the symphony audience. Arthur made the drive from Powell River to Spokane a second time this month, but this week holds a bit more weight as he auditions for the role of music director. Arnold is the fourth of five finalists to try out for the position. Morihiko Nakahara, who is also resident conductor of the symphony, auditioned in October; James Lowe led the symphony in February; and Rei Hotoda auditioned earlier this month. The fifth finalist, Jayce Ogren, will conduct the symphony April 13-14. Arnold, a native of the Netherlands, is in his seventh season as music director of the Moscow Symphony Orchestra in Russia. He is also the music director and conductor of the Pacific Region International Summer Music Academy Festival, which he co-founded in 2012, on the west coast of Canada. 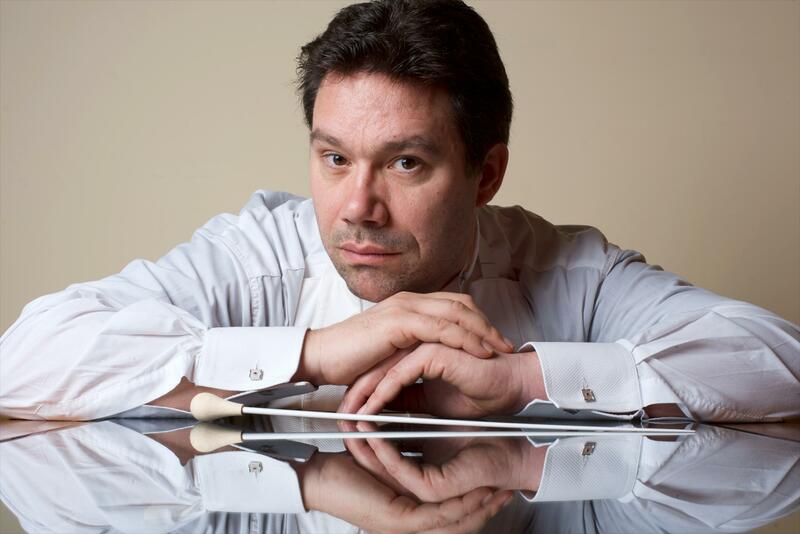 Arnold was the music director of the Symphony Orchestra Academy of the Pacific from 2004 to 2011 and the principal guest conductor of the Seoul National Symphony Orchestra from 1997 to 2001. After hearing about the music director position, Arnold researched Spokane and the orchestra and felt like he could see himself as part of the community. It’s a one-day drive from his home in Canada, which would allow him to balance the symphony with his work with the PRISMA Festival. Also, his children are now in their early 20s in the Netherlands and don’t need Arnold home every few weeks like they did when they were younger. “Classics 8” begins with a piece Arnold selected, Francis Poulenc’s “Les Biches,” which was commissioned for the Ballets Russes by founder Sergei Diaghilev. “Classics 8” also features guest violinist and Seattle native Simone Porter performing Camille Saint-Saëns’ Violin Concerto No. 3. The program closes with Béla Bartók’s Concerto for Orchestra, which Arnold said is the composer’s most well known work. An ethnomusicologist, Bartók traveled to central Europe and recorded folk melodies, which eventually found their way into this concerto. During his time with the symphony, whether only for a week or for seasons to come, Arnold wants to use his role as conductor to give each member of the orchestra a voice and room to let their personality shine when they perform. Published: March 21, 2019, 11:32 a.m.